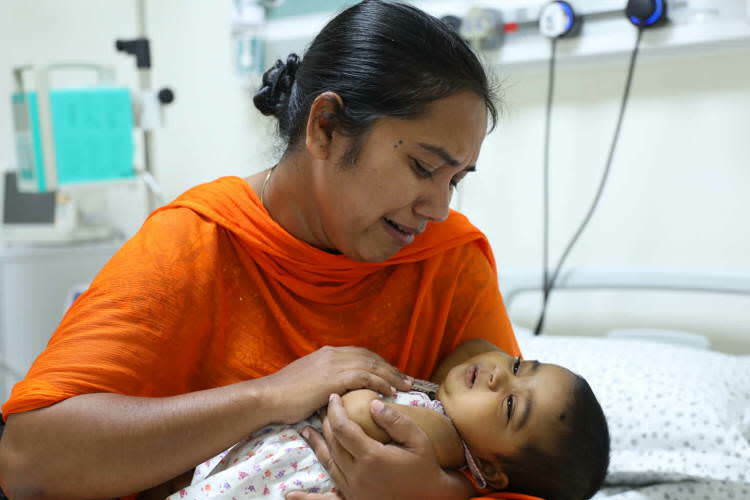 Nilkamal’s instinct as a mother was spot on when she felt her daughter was sick on the day she was born. 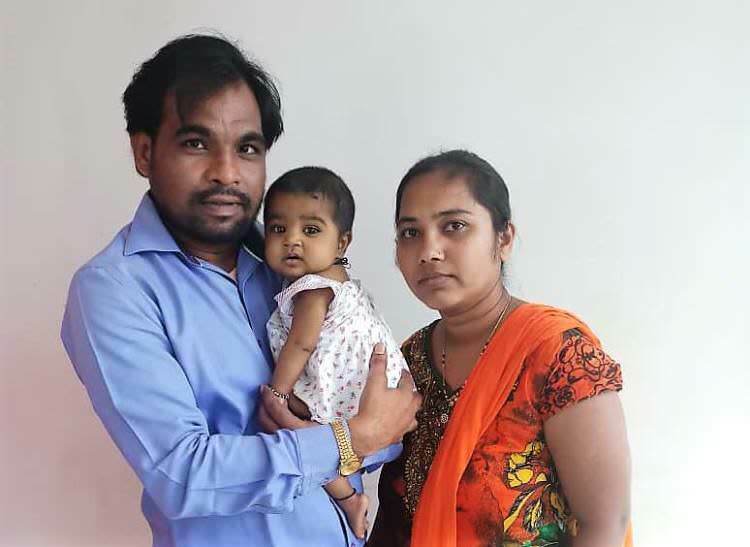 Her doctor said the baby had jaundice and kept her for a day in NICU before discharge. It’s been 7 months since then, and Manasvi’s jaundice has only gotten worse. 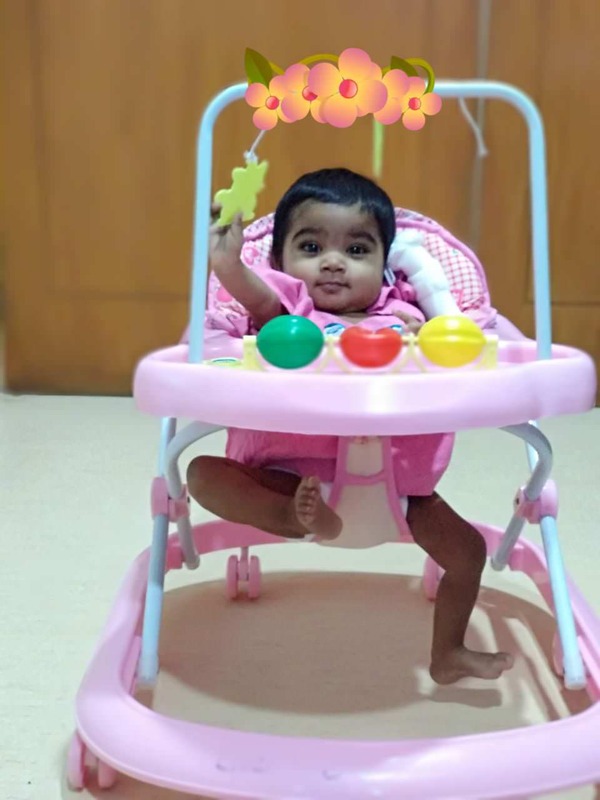 Despite Nilkamal consulting so many hospitals for treatment, Manasvi did not get help and now she could die without a liver transplant. When the parents noted that their child was not gaining weight, and still looked yellow, doctors convinced them that there was nothing to worry about. 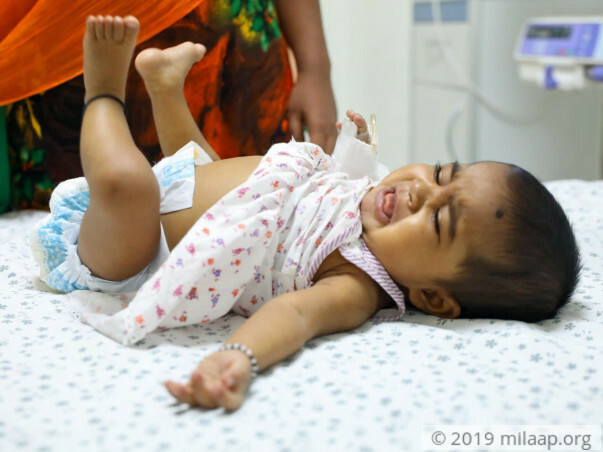 In December, at a Nagpur hospital, Manasvi had a blood test that showed that her bilirubin levels were abnormally high. “This is where for the first time someone said, ‘Yes, it looks like her liver has a blockage.’ We tried medicines. Nothing worked. We went to Gurgaon. 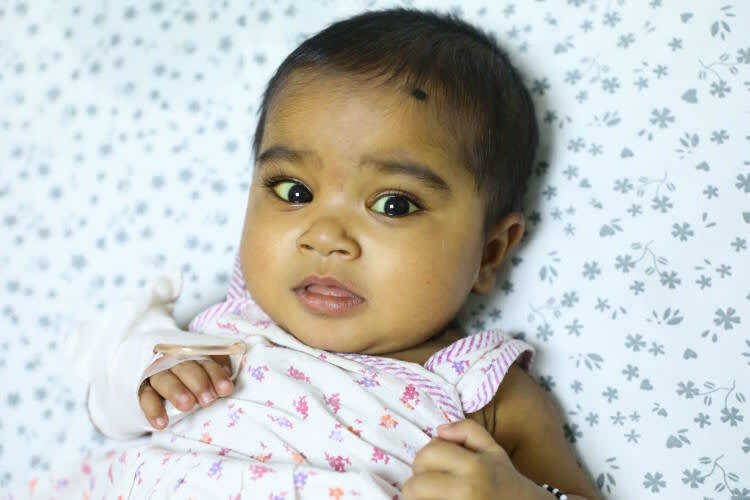 There we found out Manasvi’s liver was damaged beyond repair and she needs a liver transplant. We got scared thinking of our baby getting a surgery. We looked for another opinion and arrived at Rainbow, Hyderabad." 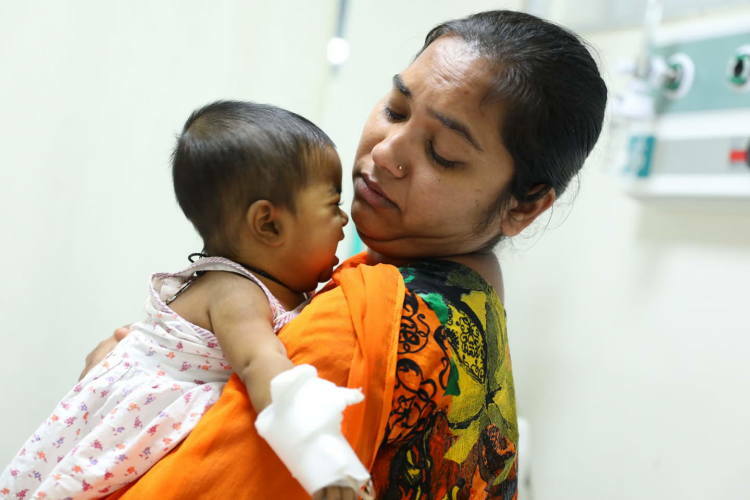 The parents hoped that Manasvi’s condition could be resolved with medication. However, Manasvi’s condition did not improve. They had to accept that their child needed a new liver to survive, and this transplant is evitable. Nilkamal volunteered to donate, but it is not so easy. The transplant will cost Rs. 16 lakhs. 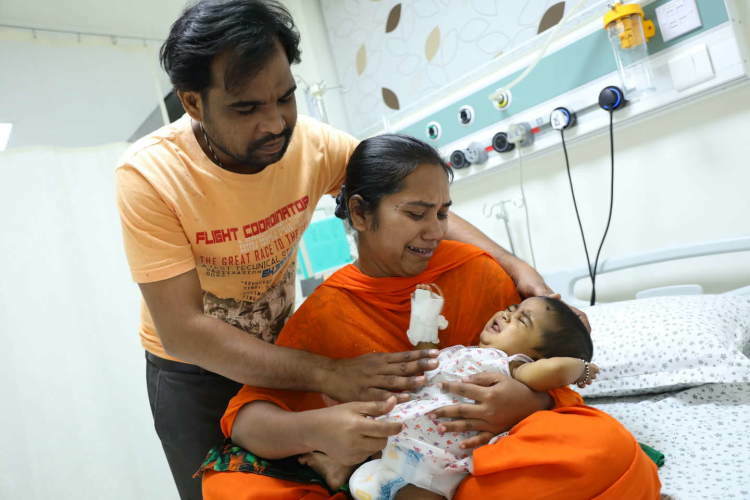 After exhausting all their savings shuttling to various hospitals across North India, this family is left with nothing. Mahesh works in Indian Ordnance Factories associated with Defence. He makes about Rs. 25000/month. Even after using up his savings and insurance funds, he cannot afford to save his baby girl. Unfortunately, Manasvi does not have a lot of time. Nilkamal and Mahesh are forced to crowdfund for her treatment as she is nearing a critical stage. They cannot lose their daughter to money, and request for help to save her life. Thank you once for your love and support. Manasvi is at home and is doing well now. Here are the recent photo of Manasvi. 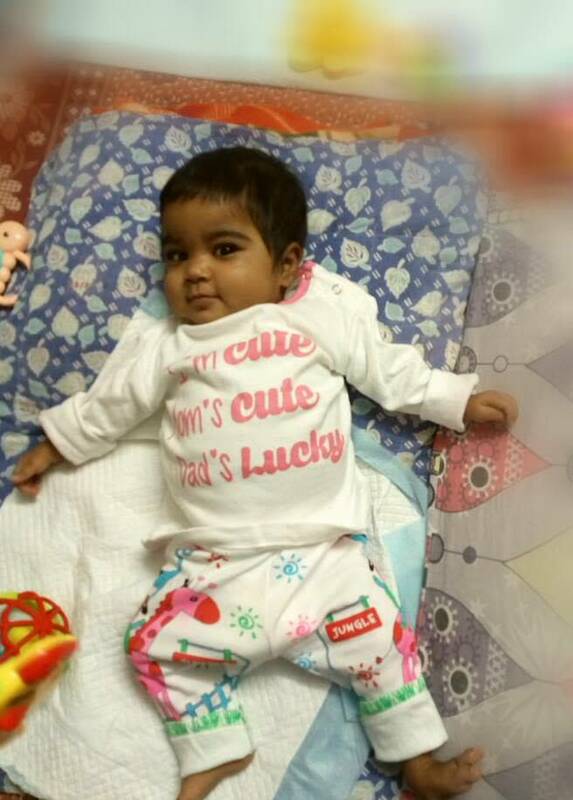 It gives us immense pleasure in informing you all that Manasvi was successfully discharged and is doing well now. The baby is currently on medication and will continue to be on medication until advised otherwise. Fortunately, there are no side effects. Thank you everyone for being so supportive! We have some news to share with you. Manasvi underwent the transplant successfully. She is in the ICU and is likely to get discharged in a few days, her mother who was the donor is already discharged. We could not have done this without your support.